Behavior analysis is a scientific approach to understanding behavior and how it is affected by the environment. 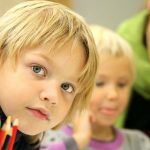 Applied Behavior Analysis methods have been used successfully with many kinds of learners of all ages, with and without disabilities, in many different settings. Applied Behavior Analysis has been shown by empirical studies to be an effective treatment for children with autism. 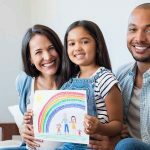 Although children may exhibit many similar behaviors, each child is unique in terms of the antecedents that trigger those behaviors as well as the solutions that will be the most effective in addressing the behaviors. Similarly, each child is unique in terms of their learning styles, social skills, and overall awareness. We look at each child as an individual and utilize ABA principles to develop the most effective methods to help each child communicate with the world effectively, develop positive peer relationships, and expand appropriate social and academic skills. The ABA services we provide are creative and flexible so that children can learn generalizable concepts. 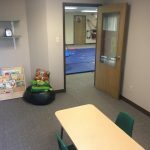 We assist parents and teachers in unlocking each child’s unique learning potential, provide program training, develop behavior reduction plans, and facilitate the implementation of positive behavior support programs. Individual counseling is at the heart of our clinical services. Individual counseling involes the client meeting one-on-one with the therapist to review progress toward the completion of established treatment goals, determine need for additional services and supports, and facilitate the client’s movement toward resolving expressed problems. Sessions generally run 45 to 50 minutes and occure 2 to 4 times per month. Most clients complete services in less than six months and return if their difficulties persist. Some clients require longer treatment and some attend only a single session and are referred out for additional services. In general, anyone who wants to improve troubled relationships can benefit from family therapy. 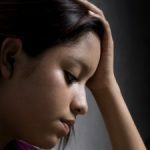 You can use family therapy to address many specific issues, such as marital and financial problems, conflict between parents and children, and the effects of substance abuse and depression on the entire family.